For the Finnish figure skater, see Viveca Lindfors (figure skater). Elsa Viveca Torstensdotter Lindfors (29 December 1920 – 25 October 1995) was a Swedish stage and film actress, and singer. 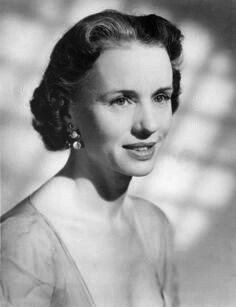 Lindfors was born in Uppsala, Sweden, the daughter of Karin Emilia Therese (née Dymling) and Axel Torsten Lindfors. She trained at the Royal Dramatic Theatre School, Stockholm. Soon after, she became a theater and film star in Sweden. She moved to the United States in 1946 after being signed by Warner Bros. and began working in Hollywood. She appeared in more than one hundred films, including Night Unto Night, No Sad Songs for Me, Dark City, The Halliday Brand, King of Kings, An Affair of the Skin, Creepshow, The Sure Thing, and Stargate. She appeared with actors such as Ronald Reagan, Jeffrey Hunter, Charlton Heston, Lizabeth Scott and Errol Flynn. Lindfors appeared frequently on television, usually as a guest star, though she played the title role in the miniseries Frankenstein's Aunt. Most of her TV appearances were in the 1950s and 1960s, with a resurgence in the 1980s and early 1990s. In 1990, she won an Emmy Award for her guest appearance on the ABC series Life Goes On. She was nominated for an Emmy in 1978 for her supporting role in the TV movie A Question of Guilt. 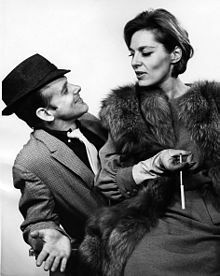 In 1962, she shared the Silver Bear for Best Actress award with Rita Gam at the Berlin Film Festival, for their performances in Tad Danielewski's No Exit. Among her later film roles, perhaps the most memorable is the kindly and worldly-wise Professor Taub in The Sure Thing (1985). Lindfors was married four times: to Harry Hasso, a Swedish cinematographer; Folke Rogard, a Swedish attorney and World Chess Federation president; Don Siegel, the director; and George Tabori, a Hungarian writer, producer and director. She had three children: two sons (John Tabori with Hasso, and the actor Kristoffer Tabori, with Siegel) and a daughter (Lena Tabori, with Rogard). In the last years of her life, she taught acting at the School of Visual Arts in New York, and had a lead role (essentially playing herself) in Henry Jaglom's Last Summer in the Hamptons (1995). The same year, she returned to the Strindberg Festival in Stockholm to perform in the play In Search of Strindberg, which had been produced earlier that year at the Actors Studio. Lindfors was a naturalized U.S. citizen and a liberal Democrat who supported the presidency of Jimmy Carter and later said of her former co-star Ronald Reagan that, "Ronnie was not a big star. He didn't carry enough weight. To think that the guy became president is really kind of funny." Lindfors died from complications of rheumatoid arthritis at the age of 74 in her native Uppsala, and was buried in Sweden. In New York City, a service was held at the Actors Studio where Gene Frankel, who had directed her in I Am a Woman and Brecht on Brecht. 1978 A Question of Guilt Dr. Rosen TV movie. 1990 Life Goes On Mrs. Doubcha 1 episode. ^ Lebherz, Richard (21 December 1970). "A Snow Queen In Exile". The News. Frederick, Maryland. p. 6. Retrieved 25 June 2016 – via Newspapers.com. ^ Nättidningen RÖTTER - för dig som släktforskar! Viveca Lindfors genealogy site, genealogi.se; accessed 4 May 2017 (in Swedish). 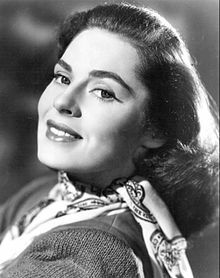 ^ Viveca Lindfors profile, Hollywood.com; accessed 4 May 2017. ^ "42nd Emmy Awards Nominees and Winners: Outstanding Guest Actress in a Drama Series - 1990". Television Academy. Retrieved 8 April 2017. ^ "30th Emmy Awards Nominees and Winners: Outstanding Performance by a Supporting Actress in a Drama or Comedy Special - 1978". Television Academy. Retrieved 8 April 2017. ^ "Berlinale 1962: Prize Winners". berlinale.de. Retrieved 7 February 2010. ^ a b Stout, David (26 October 1995). "Viveca Lindfors, Stage and Film Actress, 74". The New York Times. Retrieved 26 April 2015. ^ "Five Former Co-Stars Rate Reagan as a Leading—and Sometimes Misleading—Man". People. 16 (6). 10 August 1981. Retrieved 22 July 2018. ^ "Viveca Lindfors". IBDb. Retrieved 26 April 2015. 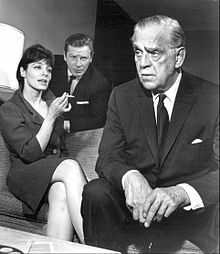 Wikimedia Commons has media related to Viveca Lindfors. Edward Winter, The FIDE President and the Actress, ChessBase.com; retrieved 2009-01-20. Virginia Cathryn "Gena" Rowlands is an American actress, whose career in film, stage, and television has spanned over six decades. 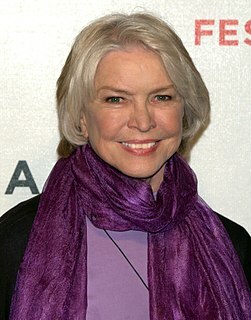 A four-time Emmy and two-time Golden Globe winner, she is known for her collaborations with her late actor-director husband John Cassavetes in ten films, including A Woman Under the Influence (1974) and Gloria (1980), which earned her nominations for the Academy Award for Best Actress. She also won the Silver Bear for Best Actress for Opening Night (1977). In November 2015, Rowlands received an Honorary Academy Award in recognition of her unique screen performances. Lena Maria Jonna Olin is a Swedish actress. She has been nominated for several acting awards, including a Golden Globe for The Unbearable Lightness of Being (1988) and an Academy Award for Enemies, A Love Story (1989). 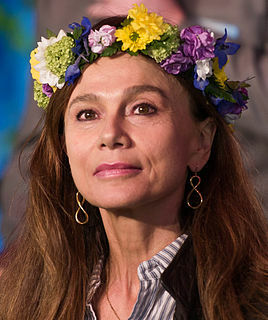 Other well-known films in which she has appeared include Chocolat (2000), directed by her husband Lasse Hallström, Queen of the Damned (2002), Casanova (2005) and The Reader (2008). Olin was also a main cast member in the second season of the television series Alias. Olin starred in the Swedish sitcom Welcome to Sweden. Kathleen Doyle Bates is an American actress and director. Bates began her career on the stage, and was nominated for the Tony Award for Best Lead Actress in a Play in 1983 for her performance in 'night, Mother. For her portrayal of Annie Wilkes in the 1990 film Misery, she won the Academy Award for Best Actress. She followed this with roles in Fried Green Tomatoes (1991), Dolores Claiborne (1995), and Titanic (1997). 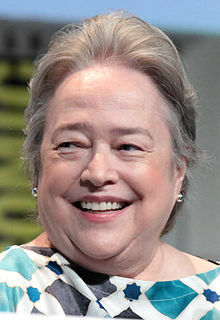 She received her second and third Academy Award nominations for Primary Colors (1998) and About Schmidt (2002), in the category of Best Supporting Actress. She is also the recipient of two Golden Globes, two Screen Actors Guild Awards, three American Comedy Awards, and two BAFTA nominations. George Tabori was a Hungarian writer and theater director. Signe Hasso was a Swedish actress, writer and composer. Katherine Whitton Baker is an American actress. Baker began her career in theatre and made her screen debut in the 1983 drama film, The Right Stuff. She received the National Society of Film Critics Award for Best Supporting Actress and an Independent Spirit Award nomination for her performance in Street Smart (1987). Baker also has appeared in over 50 films, including Jacknife (1989), Edward Scissorhands (1990), The Cider House Rules (1999), Cold Mountain (2003), Nine Lives (2005), The Jane Austen Book Club (2007), Last Chance Harvey (2008), Take Shelter (2011), Saving Mr. Banks (2013) and The Age of Adaline (2015). Rita Gam was an American film and television actress and documentary filmmaker. She was nominated for a Golden Globe and won the Silver Bear for Best Actress. Inga Sofia Tidblad was a Swedish actress. She was one of the most praised actresses in Swedish theatre during her lifetime. No Exit, also known as Sinners Go to Hell, is a 1962 American-Argentine dramatic film adaptation of Jean-Paul Sartre's play No Exit directed by Tad Danielewski. The film stars Morgan Sterne, Viveca Lindfors and Rita Gam. Night Unto Night is a 1949 Film Noir drama film directed by Don Siegel and written by Kathryn Scola. It is based on the 1944 novel by Philip Wylie. The film stars Ronald Reagan, Viveca Lindfors, Broderick Crawford, Rosemary DeCamp, Osa Massen and Art Baker. The film was released by Warner Bros. on June 10, 1949.